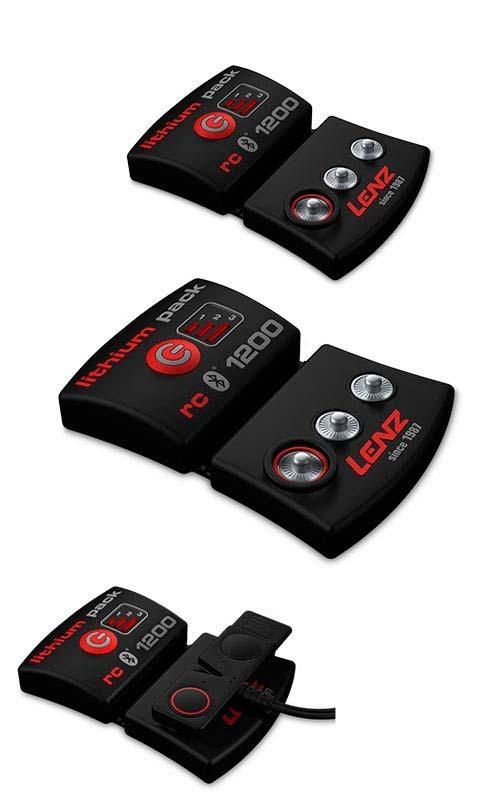 Whether you have bad circulation or you're battling the cold temperatures, the Lenz Heat 5.0 Socks + rcB 1200 Lithium Battery Packs allow you to stay out on the hill while everyone else is inside trying to warm up their feet. 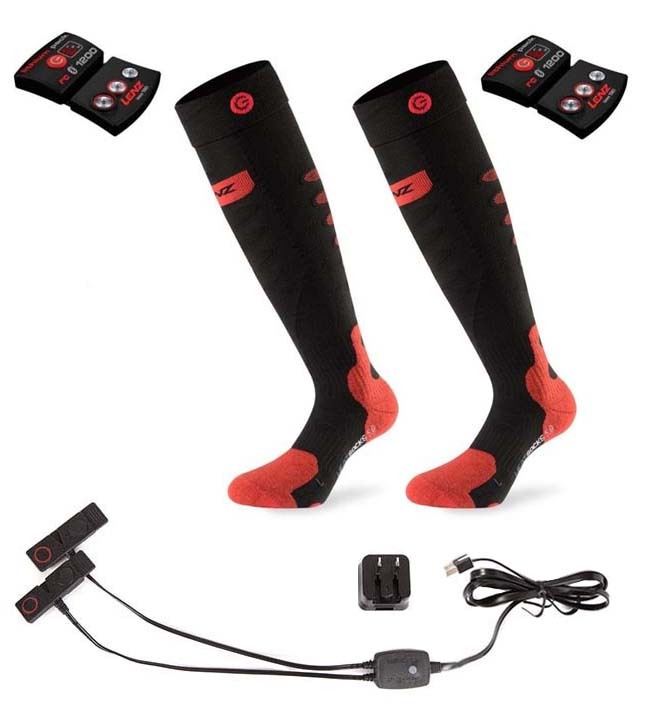 The Lenz 5.0 Heated Socks are some of the best heated socks on the market, featuring the only fully heated toe cap (top and bottom). Bluetooth Smart Ready: Control and adjust the power effortlessly via your smartphone. 3-Level Heat Adjustment: Choose from 3 distinct heating levels. 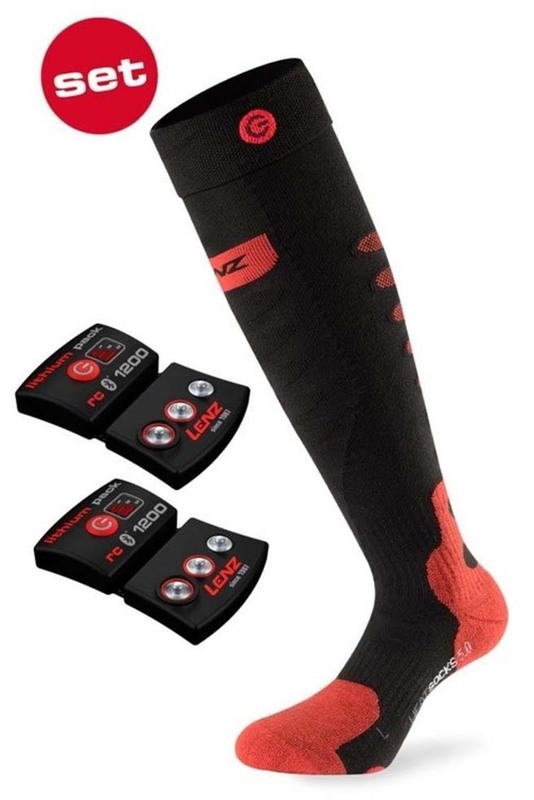 Push Button Attachment Points: Easy attachment of the lithium battery packs via push buttons on the cuff of the socks. Latest Generation 5.0 Heating Element: An integrated, unperceivable heating element that completely encloses the toe area. 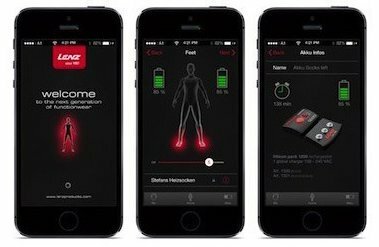 Lightweight Lithium Battery Packs: Fit all Lenz heat socks, heat vests, heat bandages, and LED system models. Heat Output Time: Up to 14 hours. Machine Washable: Up to 30°C. Please double check SIZING in Product Information above.